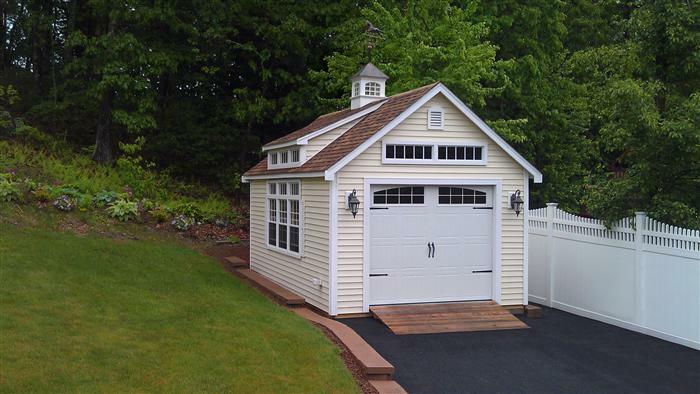 Victorian shed plans are popular requirements for people who are enhancing an expansive outdoor area. Sheds are structures that may be literally attached to the back of a house or placed in the backyard, a few meters from the main house. People needed a covered space where they can store their gardening and repair tools or where they can do some chores that are too messy when done in the house. Among other shed designs, the Victorian appeals to many, because it has a distinctive charm that livens up your garden or your entire home design. Victorian architecture, in general, refers to the designs popular during the middle to late 19th century, the reign of Queen Victoria of England. It is an era known for ornate designs, bright colors, and lots of decorations. Overall, everything was more elaborate than simple. So, if you’ll be looking at Victorian shed plans today, you’ll notice a reference to the stylish houses of that time. Roofs, which were often made of slate, had steep pitches with dormers and shingles. For today’s Victorian sheds, roof shingles are done, but some may not be made of slate anymore, especially DIY sheds. They may come in wood, metal, or asphalt. You’d also see dormers in some sheds today, whether professionally constructed or made from DIY packages. A dormer is the protruding triangular structure on sloping roofs that are usually adorned with a tiny window at the tip. Doors and windows during the olden days were always decorated. Stained glass was used to adorn doors and windows. Bay and sash windows were standards in houses then. Colored shutters were also favorites for windows. These are some details you might see in some Victorian shed plans today. Bricks were usually the materials used to build the walls of structures during the time of Queen Victoria. Not just any bricks, but colored bricks were in vogue at that time. Wood was also used a lot for walls during that period. These days, whether you’re making the shed from scratch or using DIY kits, materials for walls are either wood or vinyl that’s made to look like wood. Finally, all structures from the time of the famous English queen are not complete without emphasizing on ornaments and decors. Complement the designs on Victorian shed plans with plant boxes to highlight windows. Or, add decorative wood panels on your roof’s edges and lay down some stones on the ground to make a cobblestone path to complete the atmosphere.